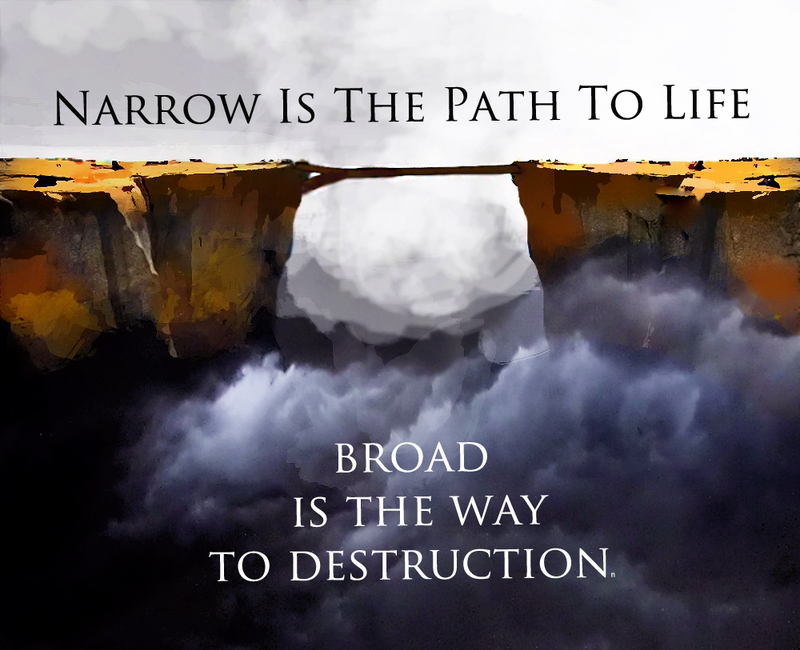 Audio Teaching: Narrow is the path to life, broad is the way to destruction by Mark Atkinson. In Matthew 7, the Lord was not comparing the world's religions. Rather, he was comparing the hearts of His people. He prophesied that many people in the future would claim allegiance and loyalty to Him, yet He will declare to them that He never knew them. He explained that there will be many who are on the wide road to destruction, and He likened their hearts to branches that would bear no fruit and also likened them to the house that was built on the sand. The Apostle Paul also spoke of these things in Philippians and he wept for the many Christians whose hearts were not being fashioned into Christ but were more like the ways of the world. This teaching shows us the narrow gate and how the faithful walk on the narrow road that leads to life.